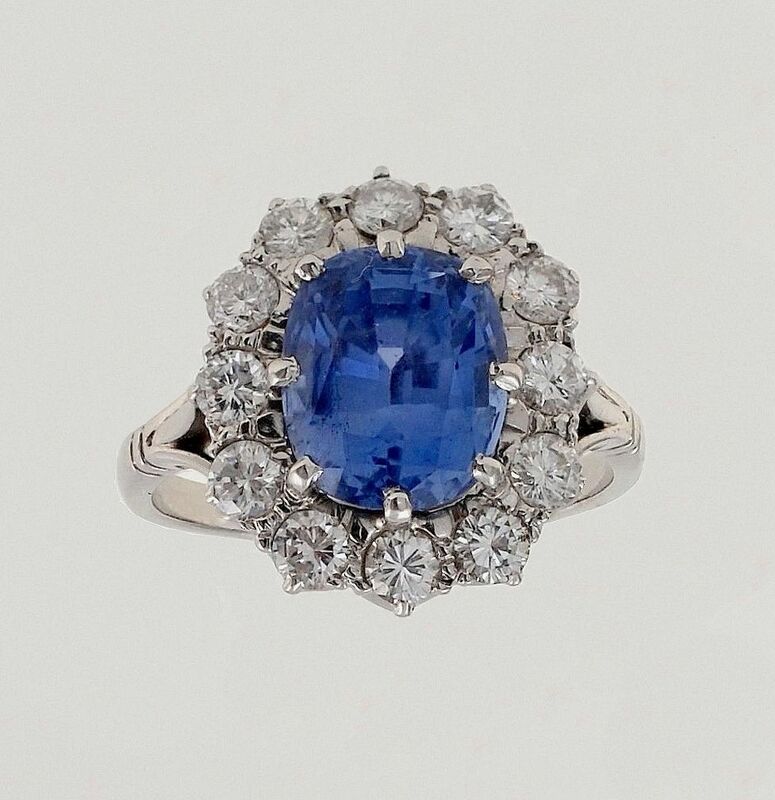 This superb ring has a cornflower blue natural (i.e. 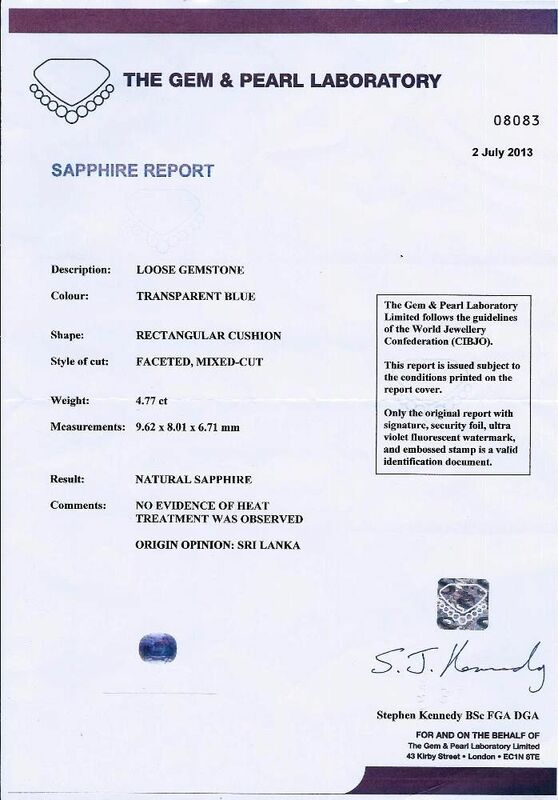 not heat treated) sapphire set in a surround of 12 round brilliant cut diamonds. 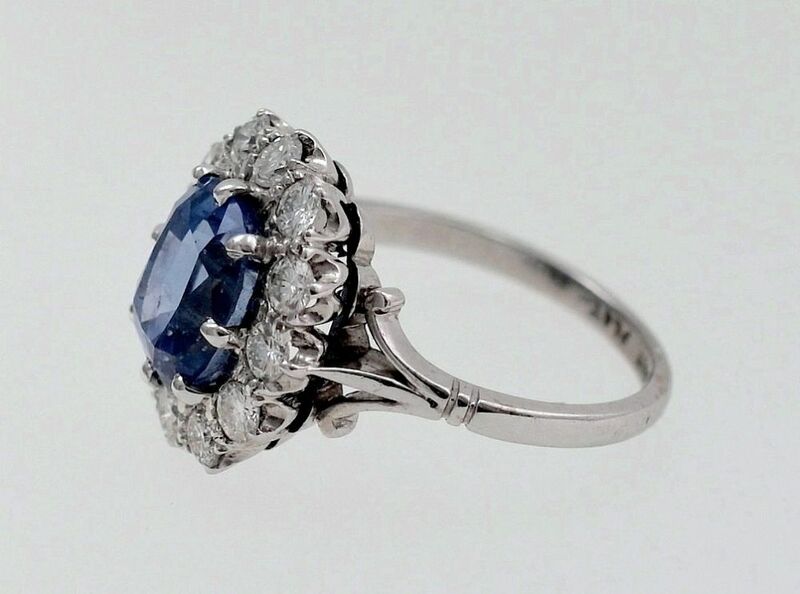 The sapphire and diamonds are mounted in 18ct white gold and the shank is in platinum. The shank is stamped "18ct white gold & Plat."